Discussion in 'Support' started by Eric N, Oct 11, 2013. For anyone who is interested to compare their results with mine I have decided to put this up, the best evidence on why I may have tinnitus is from the slight damage I have @ 3khz in the left ear but even this is inconclusive as I don't know if I had this before tinnitus. 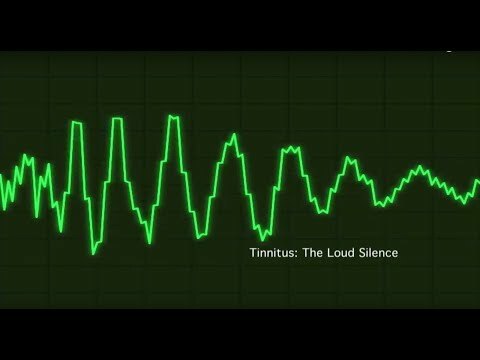 I have multiple pure tone tinnitus in both ears and a constant buzzing in my left ear. Know this is an old post but please if you are still on this forum, could you explain what each picture means as otherwise it is completely non understandable to me and possibly many others looking at it. Or anyone else looking at it if they understand it. I have @ 3khz in the left ear but even this is inconclusive as I don't know if I had this before tinnitus. You have 15db hearing loss at 1 kHz - and without reverse ski slope hearing loss - which is unusual. The 1 kHz frequency tone is normally easy to hear by almost everyone. Unilateral hearing loss, with asymmetrical dips of about 20db around the 1 to 2 kHz frequencies is seen in about two-thirds of people who have experienced a head injury. Sometimes the hearing loss may be more pronounced - in which case the person will notice automatically. But in the above cases, where the hearing loss is not pronouned, the hearing loss may well go unnoticed until it is picked-up by an audiology test many years later. And by that time no on will even begin to consider the possible relationship between the hearing loss and the head injury. You have no sign of NIHL; you have no sign of presbycusis. Excellent hearing at 12,5 kHz. Really good. I have had a hearing test up to 8hz. Doc said hearing normal for my age..whatever that means. Also said that i have jaw misalignment due to mising teeth in upper set. Need to go to dentist for that he said. Also said that i have a problem with my brain and not my ear - he said the T was due to stress (he does not know me at all) and that my brain was suffering from brain fatigue. I asked why it goes up and down( ie yesterday was practically non existant) (and had for the first time switched ears from right to left) (and today it is really high but back in the right ear) and he said the brain gets tired so switches it off for a while and then re starts it. He told me to take ATARAX for calming and sleep (1 pill a day) and after a few days that should sort it out together with some dentures. Well what do you think of that please? I so respect your opinions on this subject and that is why I address my questions and concerns to you. Also i have the hearing test result on paper. It is one small page with 3 boxes. Shows obviously left and right ear and the hearing test, the bone conduction test and the verbal test. However i dont understand it at all. Would it be possible for me to scan it in and please ask you to tell me what it means - please? thank you so much for all your informative responses to this and other posts by me and others on this forum. You are indeed a huge source of help insight and intelligence in this problem of T.
Of course, I am not a doctor. But... it is still nonsense. And here is how such nonsense comes about: doctors - with their significantly inflated ego - like to appear "in charge" and "all-knowing". So when faced with a question to which they really have no answer, they will invent a diagnosis/reason/cause/etc rather than lose-face. Such casual explanations of the causes of tinnitus is also what I commonly refer to as "kitchen-table" talk. Tinnitus is almost always due to some kind of damage to the inner ear. The problem, in terms of a diagnosis, arises because doctors assume their simplistic understanding of a standard 8-kHz audiogram can diagnose tinnitus. It cannot. An audiogram can provide an "indication". And that's about it. "Brain fatigue"...? More kitchen-table talk, in my opinion. To the extent that this term can even be used as a diagnosis, it would require some kind of objective measure/examination eg. a scan of your brain that ascertains certain diagnostic data or a thorough examination of various psychological parameters. You cannot just look informally at a person and say "you have brain fatigue". Stupid. You may have stress or anxiety or something else - and that's fine, if your doctor wants to offer his opinion on that and/or diagnose you with it. And from reading a couple of your posts, I can sort of sense that you probably are under some amount stress. But brain fatigue...?!? I am not a doctor. I have no opinion on medication. If your tinnitus has a somatic component then, be aware that tinnitus as a result of injury/inflammation/poor posture/etc is the last of the symptoms to appear. Which also means you potentially have been ignoring certain other symptoms for a while. It is therefore a cause for concern. So see your dentist sooner rather than later. Would it be possible for me to scan it in and please ask you to tell me what it means - please? thank you! and so promtly too came your repsonse! I wish that we could discuss on many subjects and not on this horrible subject as you are indeed i feel a most interesting and intelligent person and someone with whom I would enjoy many hours of delightful and insightful conversation. Whether you would enjoy my conversation is of course another matter - I may not be as learned as you.....or maybe more so on other subjects....dont know. However you and I are afflicted with this and it has had such a profound effect certainly on me. In all your researchings have you come across any reason as to why the T sound reduces out of the blue for a day and then goes back up for a day or two and then goes down again? I understand that you have undertaken 2 courses of stem cell therapy but as far as i can understand it has not yet had a positive result? Or has it improved if only slightly? I hope you wont object to me asking you. Thank you for telling me to go to the dentist. I shall go but how good or useful it will be I just dont know. I just dont know because of the examination carried out by the ENT doctor. Then telling me that i have jaw misalignment? Just cos I have missing teeth in the upper set - taken out by the dentist this year due to gum recession and they were wobbly and painful and made it difficult to eat correctly for ages. Of course it is still a little difficult to eat cos i dont have all my teeth now but I have no jaw pain. What the doc did was to tell me to sit or lay down, then asked me to open my mouth. He saw the missing teeth and sort of uttered AH! Then he took his index finger and pressed really hard on the inside of my mouth at the top of the jaw (just above the jaw bone) in the corner. He pressed really really hard. I winced. He said yes you have jaw misalignment. Then he did the same thing on the other side of my mouth and I winced again but it was due to the pressure that he was exerting and also he was pressing against the top of a tooth that has gum recession and hurts a bit where the gum has receded. He said, you see it does not hurt so much on that side. I was skeptical so after my hearing test, when i was back in his room, I asked him to repeat this jaw test which he did with a smile. And said the same thing. That I had inflammation in the (dont know what it is called) bit where there is a sort of entry hole (on a plastic model of a jaw for example) just above the jaw bone. He said that the prednisolone that i had taken worked temporarily as it had reduced the inflammation which had returned when i stopped taking the prednisolone. It is safe to say I have not suffered hearing loss from ototoxicity because I can hear well up to 16Khz? If my problem is not NIHL then I have no clue what is the cause and why my T keeps getting worse with noise accidents that would not be harmful to most people -I am going through a really bad spike after some jerk went full throttle with a loud car muffler next to me. I did knock my head falling off a bike once when I was around 6 but that is more than 22 years ago so I am not sure if the 15 db has any significance but then again I never checked my ears since . I also want to ask you a few things, I know you are not a doctor but you probably know more about this topic than them from what I have seen, if from the below data you can make any kind of assumptions about why I have T and or possible things to follow up on I would be grateful because I pretty much gave up on trying to find the answer. -I can change the pitch of my T if I clench my jaws down hard or open my mouth really wide, doing this will cause a slight temporary spike - usually in the high T frequencies - but it's gone as soon as I relax my jaw, apart from this I don't have any really issue with my jaws I don't grind my teeth during sleep and the dentist does not think I have TMJ. -Also sometimes moving around causes T to react so I guess I have somatic tinnitus. -A recent X-ray of my spine revealed that I have a facet arthritis in cervical spine between C7-T1 not sure if that can contribute but I may have gotten this issue from years working in computer support with my neck bent down. That is precisely the problem that I mentioned. People who can modulate their tinnitus with jaw clenching and/or neck movements is quite common. Regardless of the etiology of their tinnitus. Many people will have pronounced trigger points around the jaw bone and temporal area. It's common and (probably) not a cause for concern in most cases. But like all trigger points, it is a good idea to get rid of them, nonetheless. If your dentist does not think that you have TMJ disorder, then you probably don't. My gut-feeling is that oftentimes TMJ disorder is considered the culprit behind tinnitus simply because doctors are unable to find the actual cause. Or patients will self-diagnose themselves with TMJ disorder because they have tender facial muscles - which is more common than not. No. But, I am aware that it is not uncommon. It is well beyond me to comment on any of that. I am not a doctor. Sorry. My own approach in such situations would be to go by a trial-and-error method. Fix the problems causing the inflammation and see if that doesn't help, somehow. However, the following is definitely true: tinnitus is always the last of the symptoms to appear when "something" is wrong. Oftentimes, there will have been other symptoms which - we humans - conveniently decided to ignore. Which means that you eventually receive an "invoice" - with interest. Hi and thanks for your response, when you say you got a reduction does that also include the T you have from a long time or just the one from 2013? I am asking this to see if the theory that tinnitus gets locked in the brain after sometime is true or not. My left ear "EEEEEEEEEEEEE"-tone changed to an "eeeeeeeeeeeee"-tone, and is now on some days what I would refer to as a thin- or flat- "eeeeeeeeeee"-tone. I will (hopefully) be sharing some insights on this by the end of the week after seeing a specialist in Switzerland. Tinnitus is almost always due to some kind of damage to the inner ear. This is a false understanding that most of the people has, tinnitus is always due to specific brain activities in the auditory cortex of the brain and it's because that's the only area it processes sounds whether it comes through your ear or even if it simmulates in other methods and relative to the activity you will perceive the type of Tinnitus that you have or what you hear through your ears. I have tinnitus and mine too disappeares while Im diving. This perplexed my ent doc. I thought with it being do quiet it would be especially loud. I've been diving since 2000, and I know that my two tone tinnitus disappears underwater. After over 250 dives, it's a fact, as far as I'm concerned. What I'm wondering is the medical.. So how can these damaged ears gets cured temporarily? Underwater or after having this for ten years cured for just 10 minutes in above cases?